My husband and I love this meme. I had to create a seed bead pattern based on him! 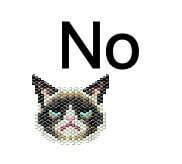 Are you grumpy? Love cats? This is the brick stitch pattern for you! 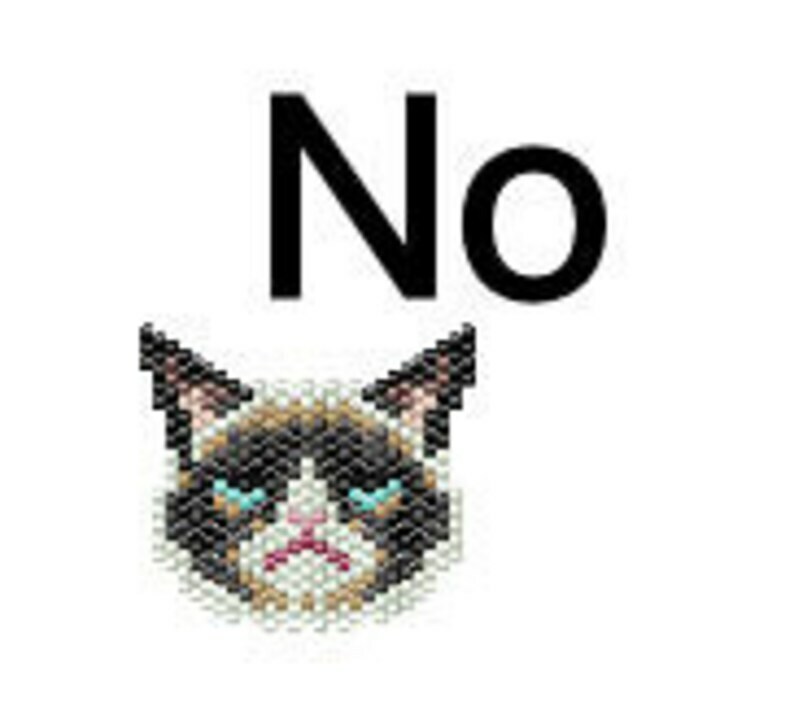 Fans of Grumpy Cat will get a kick out of this fun beaded charm! It would be fun for gift tags or a special ornament! This Delica bead pattern measures 27 beads wide and 20 beads tall. It would make a fun pendant or bag charm! Finished measurements will vary according to the type of seed beads you use. Instructions for peyote/brick stitch, and how to complete an ornament or jewelry piece are NOT included with this listing, but can be found in many places online! If you need help with that, I would be happy to point you in the right direction! Super ce petit chat grincheux. ....hâte de le faire.